Diwali is leading manufacturer, exporter and supplier of the greatest quality Body Wave Non Remy Hair Extensions. We are providing body wave non remy hair extension and best seller. Diwali Hair is minimally processed. Our gentle diwali dyeing process keeps the integrity of the hair at its finest, giving you gorgeous color and long lasting hair. Such a hairstyle is usually performed by an approved and experienced hair professional. We have provided with the list of best hair extensions that are available in India within easy budget. All Human Hair tangle to some size, it could basis it to tangle and depending on the quality as compare with your one natural texture. but We take the quality of our product very seriously, which is why we situate ourselves apart from other company on a completely dissimilar level of quality & validity. Our Non Remy hair extension without chemical process and you can be easily colored and bleached. We have our strand laboratory experienced and expert to be 100% Non remy human hair, the highest quality available. Its natural and stylish look heighten the beauty of the wearer which comes in different colors, styles, textures and sizes as per clients requirements. I can honestly say, they are amazing diwali brand. Non Remy Hair Extensions Body Wave 14"
Non Remy Hair Extensions Body WaveWeight 100 gems - per hair extension 100gms Style body wave.. 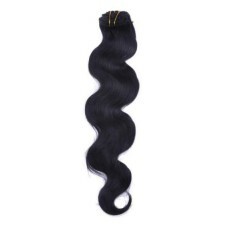 Non Remy Hair Extensions Body Wave 16"
Non Remy Hair Extensions Body Wave 18"
Non Remy Hair Extensions Body Wave 22"